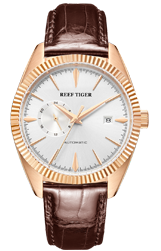 Seattle, also named as the Emerald City, is the biggest city of Northwest Unites States, comfort Marine climate and specifically inclusive culture make it have the laudatory title of being the best city suitable for daily living. 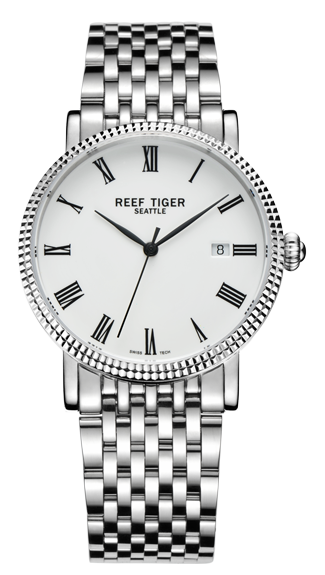 While this simple and pleasant lifestyle also inspired the birth of Reef Tiger’s Seattle series. 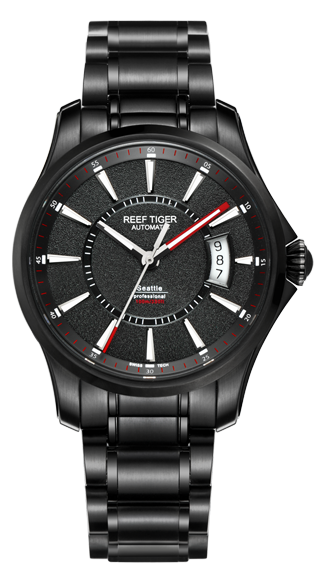 Since the foundation of this brand, Seattle series has always been the spirit representation of elegant attitude and outstanding taste in all Reef Tiger’s lineups. 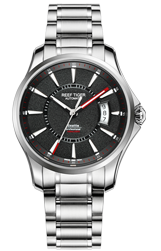 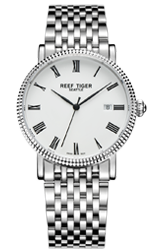 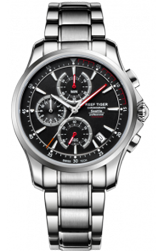 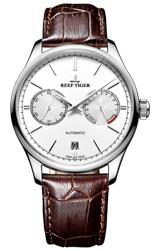 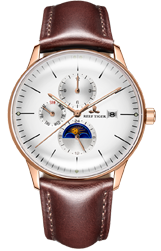 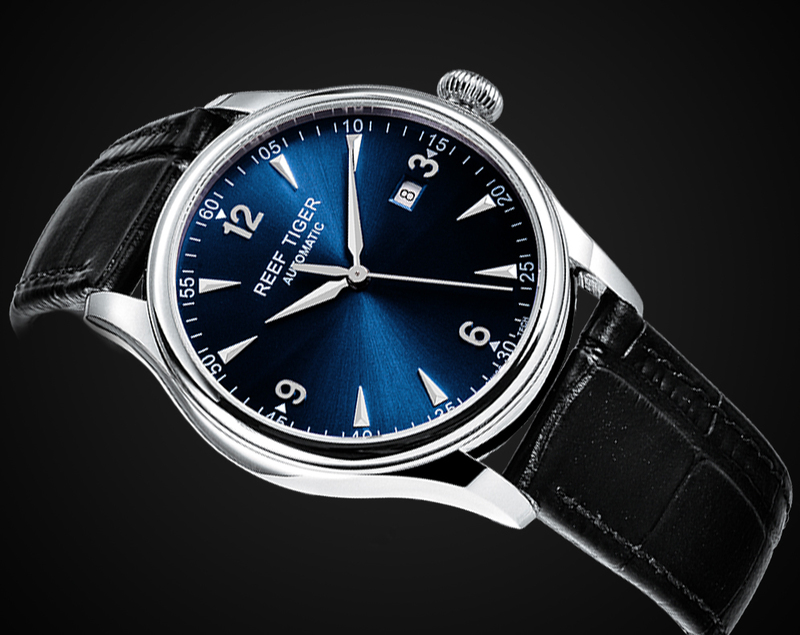 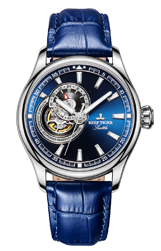 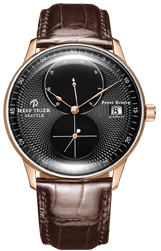 This series watches demonstrate a concise and refined inclusive qualities, is the perfect endorsement for independent and generous matured mankind. 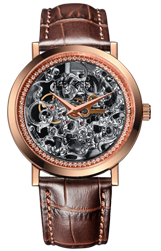 Noble detail can be seen throughout the whole series, elegant and generous sapphire crystal and rose gold case, crafty and delicate hands make a great complementarity with the compact dial, draws out a permanent significance. 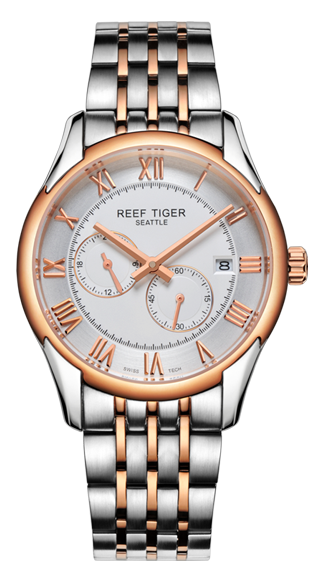 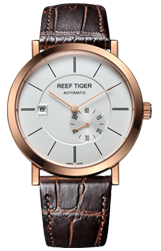 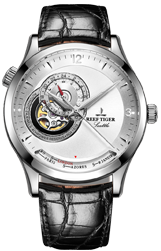 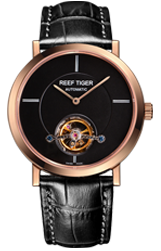 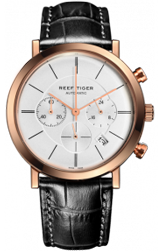 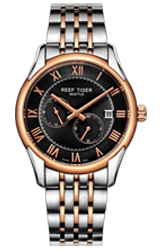 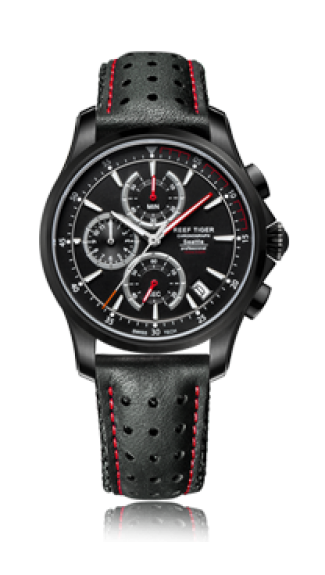 Seattle series equips Reef Tiger’s special automatic movement, less than 10mm in thickness, matched up with the comfortable oxhide strap, the classic scent of this series is immortal. 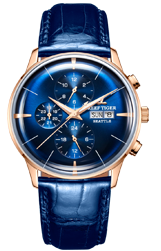 Two models are available in Seattle series the D18.421.D142 and B18.672.14, with characteristics of low profile, elegance, precision and certainly durability. 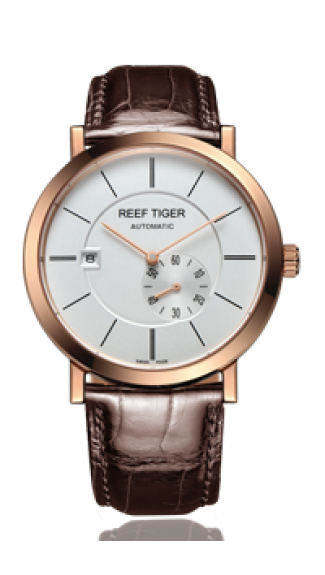 Brand ideals for pursuit of perfection, inheritance of craftsmanship, respect of tradition as well as determination of creation and innovation have always been deeply adhered by Reef Tiger along the way.